Rhubarb is growing like crazy. Thanks to a friend at work, I have a large supply of rhubarb from the beginning of spring until mid-summer. Last year I used the rhubarb to make some jams and also in a pie. This year I will also be using it for canning but I wanted to try something new. I knew what I wanted to try. 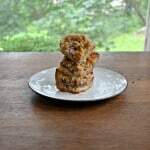 I wanted to make cookies with the rhubarb. 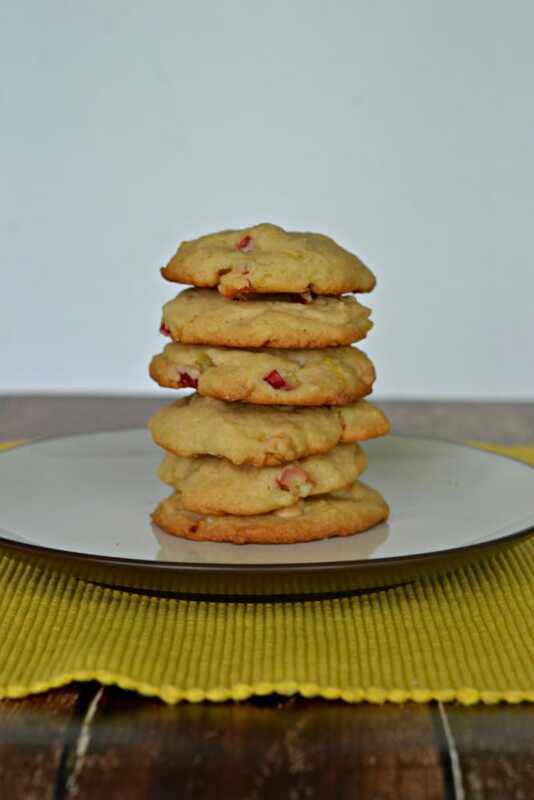 I thought about making strawberry rhubarb cookies but strawberries don’t work all that well in cookies. So I paired the rhubarb with lemon instead. 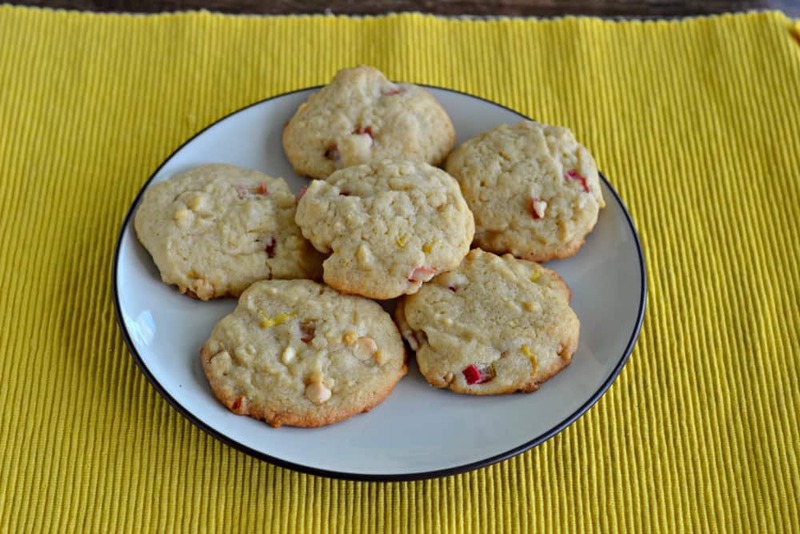 Since both rhubarb and lemon are tart I thought that they would work well together in a sweet cookie. These cookies literally melt in your mouth. 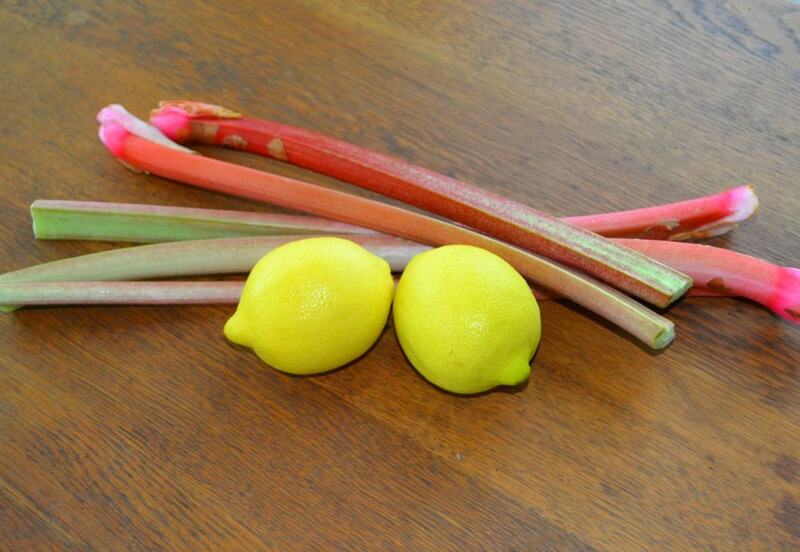 The are sweet, soft, and have a tartness to them from the rhubarb and the lemon. I don’t know about you but I love the sweet and tart combination. I gave some to my friends and they couldn’t eat just one! My husband took his first bite and I could tell by the look on his face that he liked it. After finishing off the cookie and taking a second one he gave me a look. He then told me that this may be his new favorite cookie! 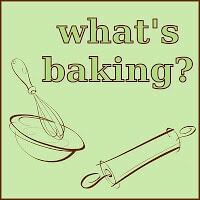 That’s saying a lot since I often make cookies. If you have any rhubarb available this spring or summer I highly recommend you give it a try. Also, I baked up these cookies for our What’s Baking? challenge this month. The theme was to bake cookies with fresh fruit. 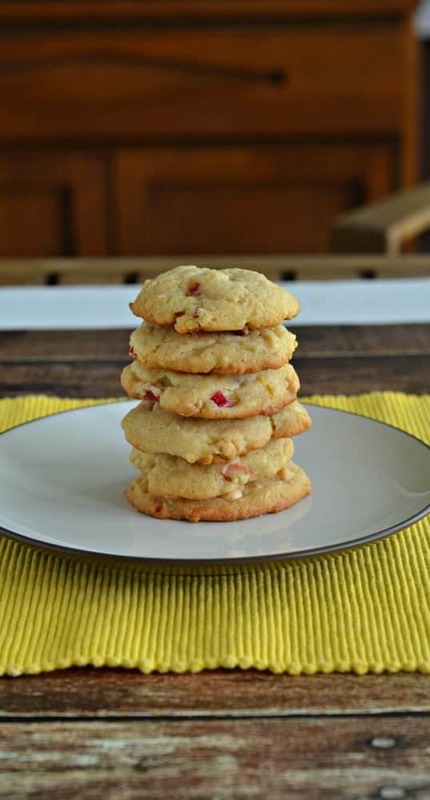 Soft, melt in your mouth cookies are sweet and tart with flavors of lemon and rhubarb. In a large bowl cream together the butter, brown sugar, and sugar. Add in the egg and mix well. Add the dry ingredients to the wet ingredients and mix well. Your dough may be a little dry at this point. Stir in the rhubarb, lemon zest, and lemon juice and mix until well combined. 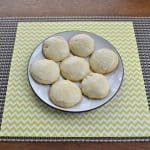 Drop the dough onto ungreased cookie sheets by heaping tablespoons. Place the cookies at least 2 inches apart. Bake for 12-15 minutes or until the cookies are just starting to brown slightly. 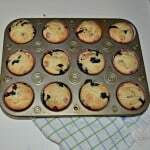 Remove from the oven and allow to cool for 2 minutes before removing them to a wire rack to cool completely. 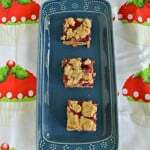 Berry Rhubarb Bars for What’s Baking?